With technology advances and an increasingly attractive price-performance, in-memory technologies have proliferated from their early days to take center stage on buzzword bingo cards. You may be wondering, what is in-memory, and what can it be used for, particularly for the enterprise? 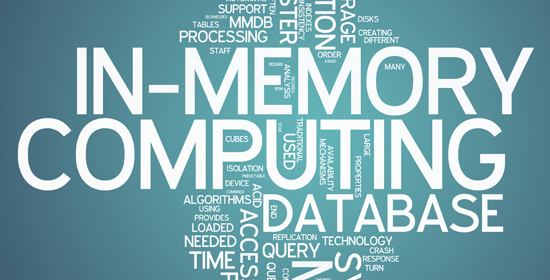 In this webinar, we address these questions and more, as we discuss the origins and history of in-memory technologies with a review of high-level architectures. We also dive into several primary applications and use cases, including transactional, operational, and analytical, and examine the different ways this technology may benefit the enterprise by providing a competitive advantage. Can the speed at which your current reports run best be described asglacial? Are the number and type of data sources in your organization best being described asexploding? Is the speed of your business processes best communicated using geologic time? Do changes and additions to your EDW require superhuman effort? Are the demands for real-time information in your enterprise skyrocketing? Data latency is the time it takes to collect raw data, prepare it for analysis, and store it where it can be accessed and analyzed. Important functionality here includes data profiling, extraction, validation, cleansing, integration, transformation, delivery, and loading. There are a wide variety of tools and products that address one or more of these aspects of data latency. These tools fall into several categories, including extract, transform, and load (ETL); data replication; enterprise application integration (EAI); enterprise information integration (EII); master data management (MDM); and others. The destination platform of the data is typically a data warehouse or data mart. Analysis latency is the time it takes to access the data, analyze the data, turn the data into information, apply business/exception rules, and generate alerts if appropriate. Analysis may be done by a user or an application. Decision latency is the time it takes to receive an alert, review the analysis, decide what action is required, if any, based on knowledge of the business, and take action. Have you dreamt of brilliant new ideas that would catapult your company light years ahead of the competition, but can’t suggest them because you’ll sound crazy? So Why Don’t I Just Get a Box with a Bunch of RAM? A key advantage of running in-memory and having HW acceleration is that you no longer need data marts, aggregates and indices. You can create logical representations of these in memory using views because you are running 1 million times faster than disk. Also, because you are using columnar technology, you see 2.5x -5x or more compression. This compresses the size of your DW. This is important because it significantly reduces the total amount of data that requires managing. In some cases, where the engine is embedded in the server, as in the appliance case, you can eliminate another layer. Finally, we reduce latency by enabling real-time replication of information into super fast analytical appliance. You don’t need an operational data store anymore. We mentioned earlier that the value of information declines rapidly over time. This is true, until you need it again- for an audit, or historical analysis – whatever the reason. Because of the cost of in-memory, you will likely want to segment your data to keep only the most used data in memory, while placing other data in more cost-effective stores. Level 1 Columnar: Uses PAX to achieve columnar compression. No columnar projection provided. No columnar engine provided. Approximate 4X performance advantage over row store for read queries (10X column compression versus 2.5X row compression). Level 2 Columnar: Uses columnar compression and projection. No columnar engine provided. Approximate 10X advantage over Level 1 read queries (10% of the columns are selected).